Italy is packed with gorgeous towns and vineyards for wine lovers to visit. 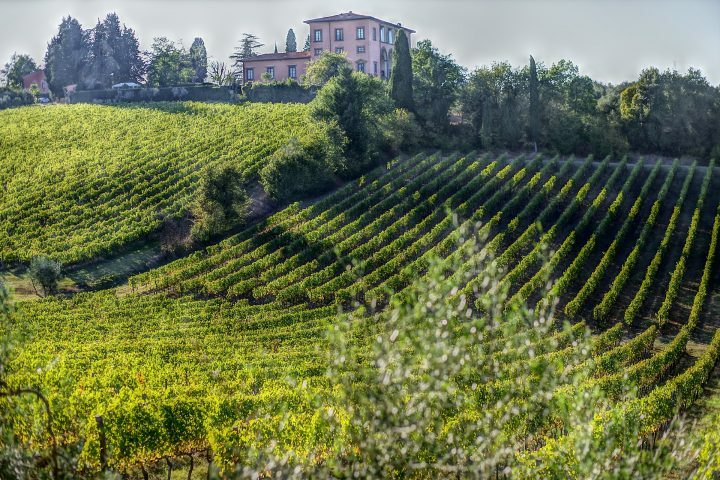 Places like Montepulciano, Barolo and Montefalco regularly attract wine buffs wanting to holiday in wine producing regions. The village of Bolgheri in central Tuscany is one of the lesser-known wine destinations, even though its region produces all kinds of expensively acclaimed wines. Bolgheri is a beautiful village in Tuscany with much outside of wine to recommend it too. The road to the village is called the Viale dei Cipressi and is one of the most famous in the country thanks to its dramatic corridor of trees. More than 2000 cypress trees line the 5km road to the village. The village is rooted in the Middle Ages, like many villages in this region of Italy. The Castello di Bolgheri was built during this time, leading to the arrival of the della Gheradesca family. Their descendants still own the castle today, and their legacy helped lay the foundations for famous Tuscan wines. When the family inherited land with potential for grape cultivation, they pioneered wine that would eventually end up labelled ‘Super Tuscan’. Wine lovers staying in Bolgheri can use the village as a base from which they can visit many other estates. Among these are Ornellaia, which was launched by Lodovico Antinori, and is now owned by the Frescobaldis, another important wine family from Italy. Another must-visit is Podere Sapaio in Donoratico, which produces Volpolo DOC and Sapaio Bolgheri Superiore, two very popular wines. Various travel companies specialise in high-end winery tours, with tastings available in the Bolgheri region at many smaller wineries. Yet another noted wine maker in the region is the Castello di Bolgheri, which is nestled among 130 hectares of land. Its label of the same name is a blend of Merlot, Cabernet Franc and Cabernet Sauvignon grapes, and its cellar can be visited. People who really want to get a flavour of this wine region can stay at one of the farmhouses on the estate. The village itself boasts a number of restaurants and eating places that serve up amazing Tuscan food with wines to match. Try Enoteca Tognoni for hearty portions and delicious wines. Australia is suffering through a record-breaking hot summer. And it’s having a big effect on Australian wine producers as the deal with grapes that have ripened much faster than normal. This will make the country’s wine made from this summer’s crop more alcoholic and more expensive. The summer of 2018/2019 has set records across Australia and prompted Tasmania’s weather authority to announce that it looks like Autumn is delayed as temperatures stay high. The Bureau of Meteorology in Australia confirmed that the summer is the hottest since 1910, when records began. Daily temperatures were up to 2.1C hotter than the average, breaking the previous record of 1.3C hotter set in 2012. Not only have temperatures been higher than normal, the summer has lasted longer too. And this long run of dry, hot weather is negatively affecting the country’s wine industry, which is worth £3.2 billion. Australian wine is popular for its cabernet sauvignon, chardonnay and shiraz in particular, and is much-loved in the UK, the US and China. The country is the sixth biggest exporter of wine, and the largest supplies go to the three countries mentioned. Winemakers also point out that the dry heat is giving wine a higher content of alcohol. How much it’s affecting flavour remains unclear. Over the last 20 years, the country has been experiencing steadily hotter temperatures, which have been making its wine richer and more alcoholic. According to data from Rabobank, the grape crush in Australia will probably decrease by about 5% this year. However, as the heat is still going, it could fall even further before the weather turns. Prices, on the other hand, are increasing in some areas by up to 20%. Winemakers are coming up with new ways to fight the heat, including growing out of the canopy in an attempt to protect the vines from the strongest sun of the day. Some, including Tyrell’s Wines, one of the country’s oldest winemakers, are even trying sunblock on the grapes. The winemaker picked its first vintage in 1864, and in 2014 began using sunscreen on its grapes to combat rising temperatures. Is it all over for traditional food and wine pairing? Everyone knows that red wine goes with steak, and white with fish. These are the traditional food and wine matching rules that have been around for decades. However, Master of Wine Tim Hanni says that pairing of food and wine in this way is “pseudo-science”. Historical records show that wine has long been served as a food accompaniment. Its early history also shows that wine was served in place of water, due to the latter’s unsanitary condition. At this time, there isn’t much evidence to show that there were strict wine and food pairing rules. As culinary traditions developed throughout the world, so did wine-making. The kinds of wine pairings we consider ‘classic’, came from the relationship between a region’s food and the wine they make. For example, many leading wine regions in Europe had lamb as a staple meat. This leads to red wines from regions such as Rioja, Greece, Bordeaux, the Rhone and Provence being considered a classic pairing with lamb. Old ideas have survived, including the adage “White wine with fish; Red wine with meat”. Its exact origins are unclear, but it’s been given as advice for centuries. The root of this is the idea of matching the body (or weight) of the wine with the weight of the food. The heavier the food (for example, meat), the heavier and therefore ‘red’ the wine should be. In more recent years, there has been much focus on food and wine pairings. The rules have expanded and interest in pairing wine increased. Sommeliers in restaurants exist to instruct on the perfect pairings with the establishment’s food. 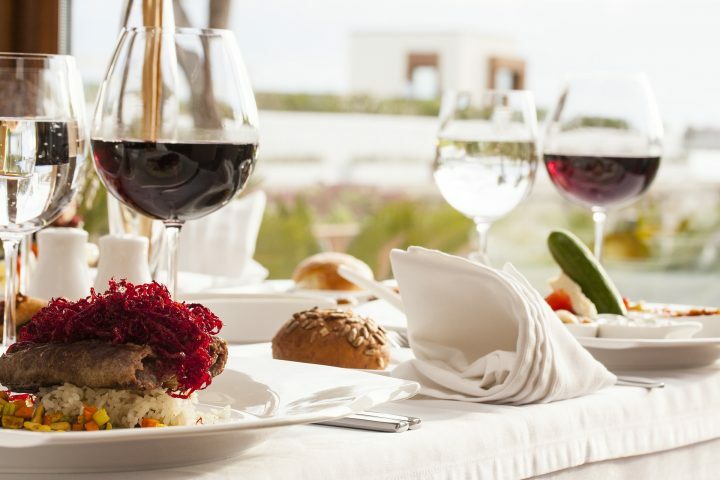 This kind of interest started in the 1980s in the US, when the wine industry began advertising its products as a key part of the dining experience. Previously, they have been marketed simply as an alcoholic drink for consumption. Winemakers started to emphasise the foods their wines would go with and the media ran with the idea. These days, you can find advice all over the place for the perfect food and wine pairing. And it looks as though the strictness of the traditional rules is relaxing. Many wine buyers and drinkers go with their instinct or choose what they like the taste of. How will climate change affect the wine industry? Wine has always been connected with environment, location and climate. Grapes harvested in different regions have different depths of flavour. Even grapes from the same vineyard can differ every season, depending on the weather. 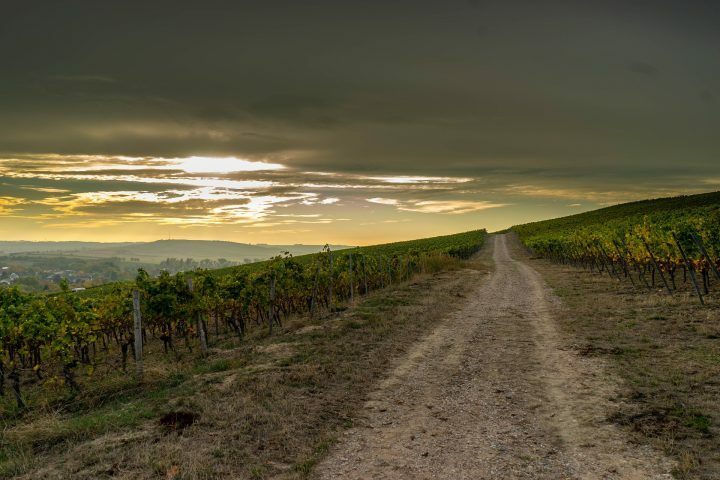 Given that, it’s not surprising that the vast differences in weather patterns we are experiencing around the world thanks to climate change are affecting the wine industry in a big way. How does extreme weather and climate change affect wine? The flavour profiles of different wines are impacted by increased temperatures and unpredictable weather. This is the main difference for consumers. But for farmers and vineyard producers, there is a much bigger impact. Scientists now say that growers must implement changes to the way they grow. For example, they should experiment with different, lesser-known grape varieties and try different irrigation methods. However, these are often too expensive and risky for many. The past four years have presented the world with the hottest ever temperatures. As grapes generally need temperate climates, this has vastly affected crops. The unpredictability of droughts, rainfall, hail and heatwaves is also devastating. And while farmers of all kinds are affected, grapes are particularly vulnerable. While wine growing regions such as California battle with ever-increasingly devastating wildfires, other subtle changes are impacting grapes too. Some regions are undergoing changes in soil salinity, due to rising sea levels. Growers are also dealing with increased vine diseases and damage caused by pests. In the past, the chill of winter frosts has been enough to kill off many pests. However, if the temperatures continue to be higher than freezing, pests will only increase and cause more problems. The wine industry is hugely dependent on changes in climate and soil. Experts say that four aspects make up wine: the soil, the grape, the topography and the weather. Even a single vineyard can include multiple different microclimates, due to exactly how much sun grapes receive in different positions. The weather affects the acidity of the grape, as well as its sugar and tannin content. As temperatures continue to increase year on year, grapes are harvested sooner than ever before. If they stay on the vine, too much sun will mean the grapes contain too much sugar and therefore alcohol. However, harvesting earlier means losing some of the complexity of flavour. This is drastically changing previously reliable flavour profiles. For example, in New Zealand, most of the exported wine is Sauvignon Blanc, which is loved for its acidic gooseberry notes. Its flavour profile is changing and is now more ‘mellow tropical fruit’. Many vintners have already started to use climate-intelligent agricultural practices. But this isn’t always possible for all farmers, due to cost and availability of the technology needed. 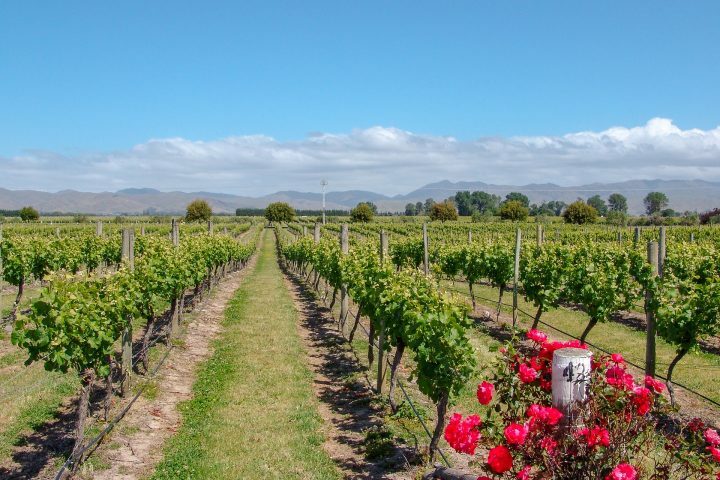 The kinds of measures taken include drop irrigation and cover cropping to help conserve water and soil, using nets to protect vines from hail and growing shorter vines. Others are shifting their focus onto slops that face south to reduce exposure to the sun. Yet others are moving their whole vineyards to cooler regions and higher altitudes. Even the simplest changes to the way farmers grow grapes comes at a higher cost in terms of additional labour and equipment. There’s no doubt that the global wine industry is experiencing a time of change. Decisions must be made by growers regarding investment into new growing practices to future proof their crops. What exactly is oaked wine? If you’re a lover of wine, then the chances are you have heard about ‘oaked’ wine. But do you know what it means and how it affects the wine you choose to buy? Oak barrels have been used for centuries to store wine, but it’s only much more recently that winemakers have started to understand the way they affect the wine. Oak barrelling affects the body and flavour of the wine and adds softer tannins to the final product. How is oaked wine made? A range of woods and different kinds of oak are used to make vessels to store wine around the world. However, there are three distinct types that are recognised for the specific effect they have on wine when it’s stored in barrels made from them. These are Quercus Robur and Quercus Patrea, which are both used in France. In the United States, the white oak variety Quercus Alba is used most often and is generally described as ‘American’ or ‘French’ oak. Before oak is used as material to make the wine barrel, it is specially seasoned. This can be achieved by warming the wood using a kiln. The best method to achieve this, according to winemakers, is to season the wood in the open air. This allows the sun, wind and rain to slowly remove chemicals and bitter tannins from the wood, leaving it perfect to use for wine barrels. Weathering the oak in this way takes between two and three years, which is perhaps why some prefer to use a kiln. When the oak has been appropriately seasoned using either method, it’s chopped into small lengths called staves. The winemaker will decide on the size of the barrel according to their needs. If they want a very large barrel, this will be to expose the wine to as much oxygen as possible. This softens the natural tannins in wine and gives dried fruit flavouring to the wine. Often, flavouring is added to the wood used. This needs smaller barrels and for Rioja and Bordeaux, barrels that hold 225 litres are used. Wood used in this way adds sweeter spice flavours to the wine, such as vanilla. It also softens the tannins, making the wine smoother on the palate. How long is wine aged in oak barrels? The length of ageing can be from just a few months to a number of years, depending on the tannin and phenol levels in the wine. These act as preservatives and keep all the fruity flavours and aromas. 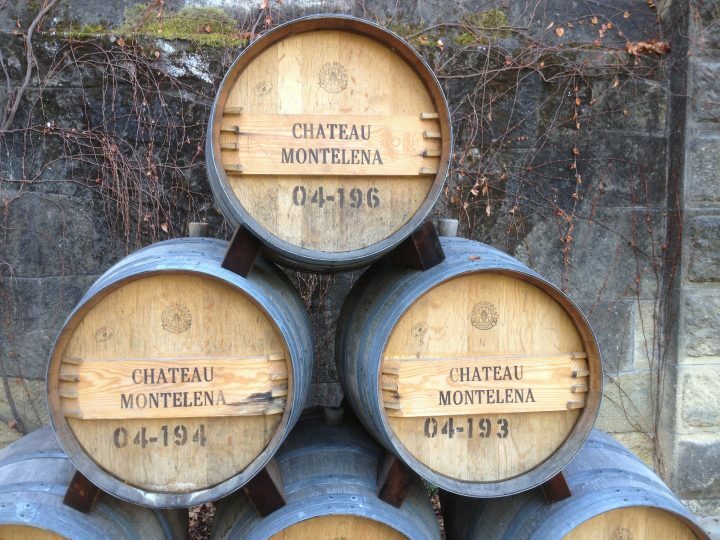 Winemakers all over the world use oaked barrels to age their wine using both French and American oak. The latter gives more intense flavours to the wines and are also less costly. These flavours are generally too intense for more delicate wines, and it’s usually used for medium and full-bodied reds, as well as full whites like chardonnays from the New World. French oak barrels cost approximately €1,000 and are notably more expensive than those made from American oak. This adds a significant cost to each bottle made using barrels made from French oak. There are various ways to give a similar ‘oaked’ effect without paying premium prices. These include putting the oak directly into the wine rather than paying a craftsman to make, fire and finish a barrel. Instead, staves are placed inside containers made from stainless steel to impart the oak flavours into the wine. The cheapest way of all is to use oak ‘chips’, which are put in a muslin bag and dropped into the wine. To be sure which method has been used on the wine you choose, look out for the labels. If it says ‘aged in oak’, then that uses the traditional method, while ‘oak aged’ could refer to a cheaper way of imparting flavours into the wine.